More than 200 puzzles, games, designs and projects bring out the magic of math. Here are fascinating codes, wonderful geometric designs with paper and string, number triangles that do all sorts of tricks, and plenty more. The emphasis is on fun, but the book is also great for classroom projects. 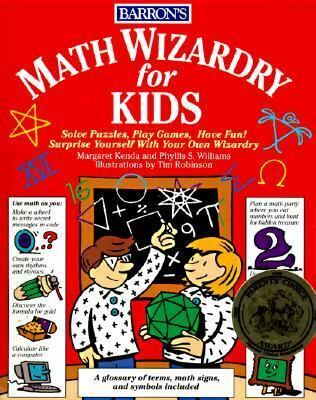 A glossary, reading list, and full-color, how-to illustrations throughout.Kenda, Margaret is the author of 'Math Wizardry for Kids' with ISBN 9780812018097 and ISBN 0812018095.